On the shores of Brazil, their Confederate friends are seeking a Southern utopia. But Hayden Gale and Magnolia Scott have different plans. Hayden is out for revenge and vows to keep pursuing his father—at any cost—whom he blames for his mother’s death. Magnolia is looking for a way out. . .and a way back home after her father insists their family escape the South following the Civil War. As the fledgling colony of New Hope struggles to survive, they both seek to use the other for their own purposes. Falling in love was never part of their plans. 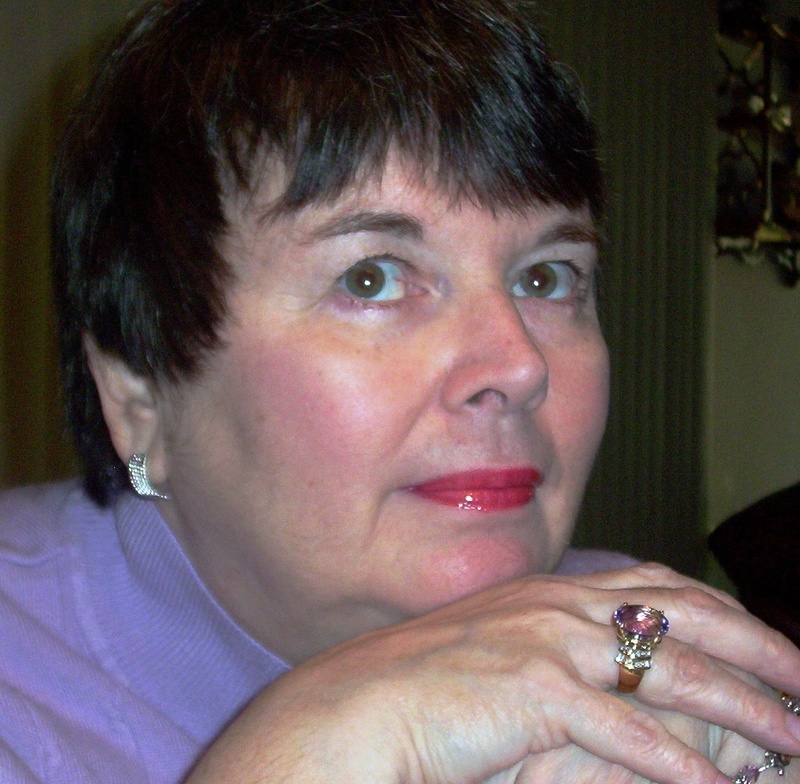 MaryLu Tyndall (insert sigh here)….she knows how to write a good book. Elusive Hope is the second book in a series. I did read the first one which lays some ground work for this book. However, I think you could read the second book and still catch up quickly with what’s going on. MaryLu’s attention to detail as she describes Brazil, the jungle, bugs and smells makes you feel like you are sitting there with the characters. It brings back memories of Gilligan’s Island, but without all the comic relief. Our heroine in this story is a tough one to have a lot of sympathy for but you do find it, especially if you have ever struggled with being good enough for a parent. Magnolia is a bit of a snot and wants what she wants when she wants it. Yet, underneath of all that you know she is a broken little girl who needs to know the love of Jesus. Hayden, the hero, is hard to trust. He, too, has his issues that he needs to overcome. He seems self-centered and uncaring but beneath his tough exterior is a boy with a broken relationship with his father who needs to come to his Heavenly Father for redemption. Grab your copy at your local bookstore (this book releases November 1st), Amazon, Barnes and Noble, Christianbook.com, Deeper Shopping or Books-A-Million. Check out the book trailer here. If this doesn’t make you want to read it don’t know what will. A ebook of this book was given to me by the publisher through Netgalley.com in exchange for an honest review. I just wanted to share that a book I reviewed a while back is only $1.99 for Kindle: Born of Persuasion by Jessica Dotta. I highly recommend this book if you like historical romance with a bit of gothic twist. I REALLY liked this book. I glanced at the movie for this book before I started reading and I will be honest, I was worried I might not like the book. 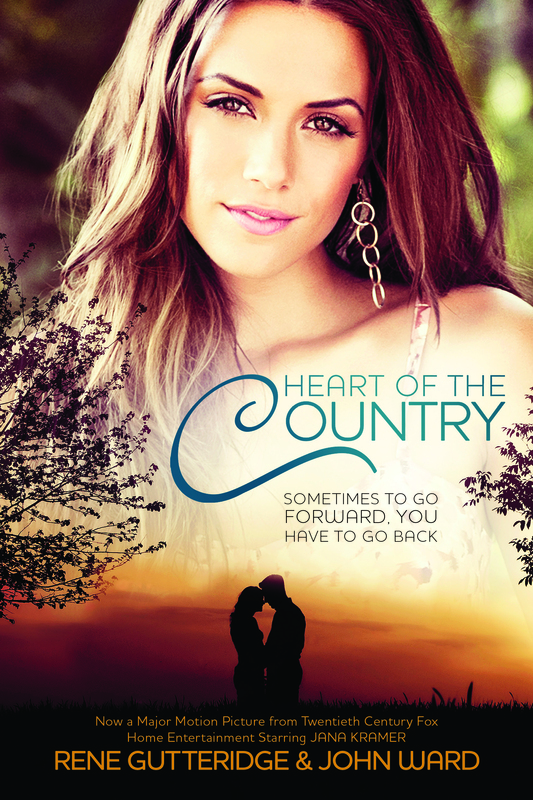 But I had to remind myself that books are almost always better than movies and that was the case for Heart of the Country. I really enjoyed this modern telling of the prodigal. I liked being in the head of the older sister (Olivia) who stayed with her dad while her younger sister (Faith) left –something I can relate to personally — and watching her heart soften and their relationship heal. There is a very moving moment that brought me to tears (always a good sign that I like a book) when Luke’s dad stands up for his son. A beautiful picture of what Christ does for us. It reminded me of how God uses me and my story, as messy as it is, to help others. I know He has my back and He’s not ashamed of me because I am His daughter. There are a few twists and turns in the plot that will having you flipping pages to find out what happens next and how God will heal Faith and Luke’s marriage. This is a great Genesis 5020 story. After reading the book I think I can appreciate the movie more and plan on giving it another chance now that I have a better understanding of the characters. Overall, I enjoyed this book and recommend it as a great reminder of Christ’s amazing love for us all. A copy of this book was given to me by Tyndale House Publishers in exchange for an honest review. Is Jesus really enough? Do you really believe it? Deep down in your very being, is He enough to heal your wounds, your marriage, take away your shame, set you free from addictions? If you said yes, do you live like that is true or do you live a defeated lifestyle? I was sent a video a couple of weeks ago and I sat there and wept as I watched. I realized I often live like Jesus isn’t enough. I often live like I have to hold onto my chains, like I am afraid to let them go because I might go back. I thought I would share this video with you. I hope you will be as touched by it as I was and know that Jesus is enough. In what way do you need Jesus to be enough today? 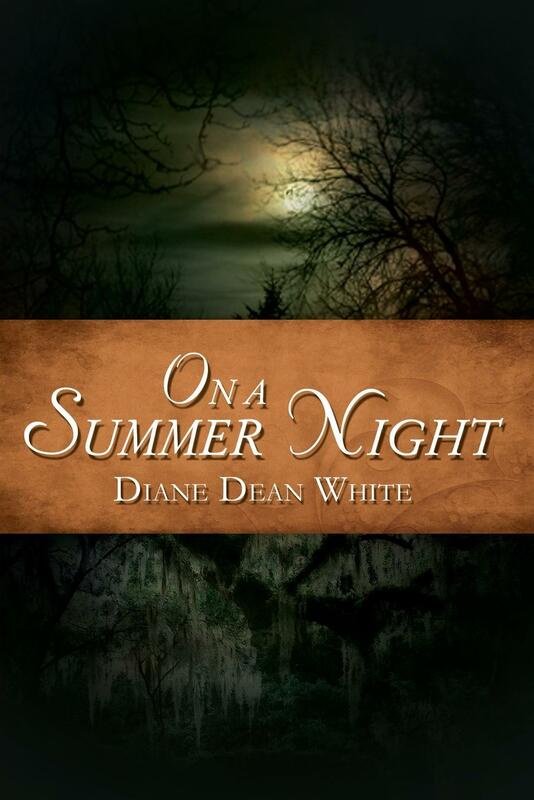 I am very excited to introduce you to Diane Dean White. We met on the AFCW (American Fiction Christian Writers) critique loop and started critiquing each others work. It was also fun to find out she is originally from Michigan. I hope you will take some time and enjoy her interview. My hubby and I are empty nesters…our children are grown. Our daughter and her husband and grand gals make their home in China, where his work took them for a few years. Our youngest son and wife are serving in Sochi, Russia presently…which leaves our oldest son, in South Carolina, but still too far away. I was raised in the college town of East Lansing next to the state capitol of Michigan. It was a great place to live! I started writing on an old black manual Royal typewriter in sixth grade. I wrote my first book in eighth grade, which was probably read by my grandmother only, and my friend who did the art work. I had a book of poetry published in my senior year of high school. I started working as a newspaper reporter in the late 70’s, and then took time to raise our family, and was a stay-at-home Mom. My best and favorite job ever! I continued doing stringer work, family history and eventually donor appeal writing for non-profit organizations. In the late 90’s I started to write short stories which were picked up by a number of publications and later two books. I became a weekly columnist for a magazine in Michigan and when we moved from South Carolina to Florida I started my book, On a Summer Night. I always believed in Jesus and prayed often, but I didn’t realize the steps to salvation; the church I attended didn’t teach that. I was involved in a number of youth activities all my life, and counseled at summer church camp. It was after Steve and I were first married he led me to Christ and I made a personal commitment, and He became Lord of my life. That we can make mistakes in life but there is always forgiveness, when we seek it from Christ. And when others are involved, forgiveness needs to be for them as well. This is what sets us free, and unshackles our chains. When I went to get a pedicure last week I grabbed my Kindle and started to read Sandwich with a Side of Romance by Krista Phillips. It looked like a fun read, and it was very humorous. I about laughed out loud and realized I needed to be careful, and not jerk my legs, I might get jabbed with an instrument from the gal doing my toes! I can’t point to anyone time when I feel the enemy was trying to hurt me, but I know my faith has to be strong to keep Satan at a distance. I constantly find myself asking the Lord to keep Satan away and fill me with His undeserving love. After all he knows he has the world and non-Christian folk, so he has to work overtime on those who love Christ. I often autograph my books and under my name write Psalm 37:4 “Delight thyself in the Lord and He will give thee the desires of thy heart.” I feel he’s done that with my writing. I’d like to thank Melissa for having me as her guest. It’s not often I meet a fellow Michigander on the loop, and I’ve enjoyed Melissa’s blogs and sweet spirit. I also hope readers will feel free to ask questions on their comments, or email me. Thanks for sharing, Diane. I know my readers love meeting new authors. I pray God’s blessing on your writing. Hope Landon has been rewriting other people’s greeting cards since she was six years old — there’s always a funnier caption. She’s all set to chase those creative dreams with her musician fiance in New York City until he leaves Hope at the altar, deciding he must not really love this girl if he can’t write a song for her. That may give her something to write about . 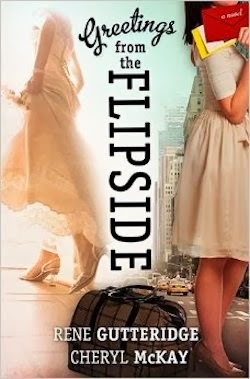 . .
Hope disappears alone on what was supposed to be the couple’s month long honeymoon. Upon returning she learns of her funeral — everyone in her life concluded Hope must have killed herself after being jilted. Needing a fresh start more than ever, she heads for the Big Apple only to discover it’s not that easy to rent a place when you’ve been declared dead. Taking shelter at the YWCA, Hope soon lands a job at a Christian inspirational greeting card company as an assistant to Jake, a guy who shut down his organization’s humor department. She has lost her faith in love; he needs to find something or someone that will make him laugh. 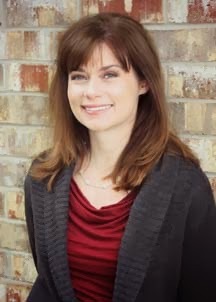 When she was in high school, a terrible accident fractured her family, and the only relief Kirsten could find was carving tiny lines into her skin, burying her pain in her flesh. The pain she caused herself was neat and manageable compared to the emotional pain that raged inside. She was coping. Or so she thought. But then, eight years later, on the night she expects her long-time boyfriend to propose, Kirsten learns he’s been secretly seeing her best friend. Desperate to escape her feelings, she reaches for the one thing that gives her a sense of control in the midst of chaos. But this time the cut isn’t so tiny, and it lands her in the psych hospital. Within hours of being there she knows she can’t stay—she isn’t crazy, after all. But she can’t go back to the life she knew before either. So when her pastor mentions a treatment program on a working ranch, Kirsten decides to take him up on the offer and get away from it all. But the one thing she can’t escape is herself—and her shame. The ranch is home to a motley crew, each with a lesson to teach. Ever so slowly, Kirsten opens herself to embrace healing—even the scarred places that hurt the most. Mercy begs her to remember the past . . . showing her there’s nothing that cannot be redeemed. Wow. This book is powerful. I have never been a cutter and honestly never understood how someone could do that to themselves. But reading about it from Kirsten’s perspective (your main character) gave me a better understanding of the relief it gives to those who are hurting on the inside. The first part of the book is so griping you will find it hard to put down as you read about the pain and confusion Kirsten suffers from and wonder about the wounds from her past that have led her to this point. You will want to ring her boyfriend’s neck at the selfishness that is so evident in him. Once she reaches the ranch that action slows for a bit but it all serves a purpose in a gaining a deeper understanding into Kirsten’s healing. If you know someone, or are someone, who has suffered from deep emotional wounds (I think we all have) I believe you will be deeply touched by this book. It is laced with the hope and healing of Jesus Christ that is freely given to all. A copy of this book was given to me by the publisher through the Book Sneeze program in exchange for an honest review.